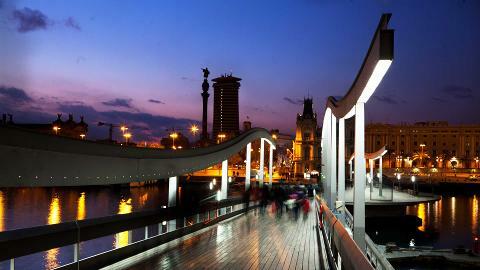 Rather than settling down at night, Barcelona puts on an evening dress and changes the tune. 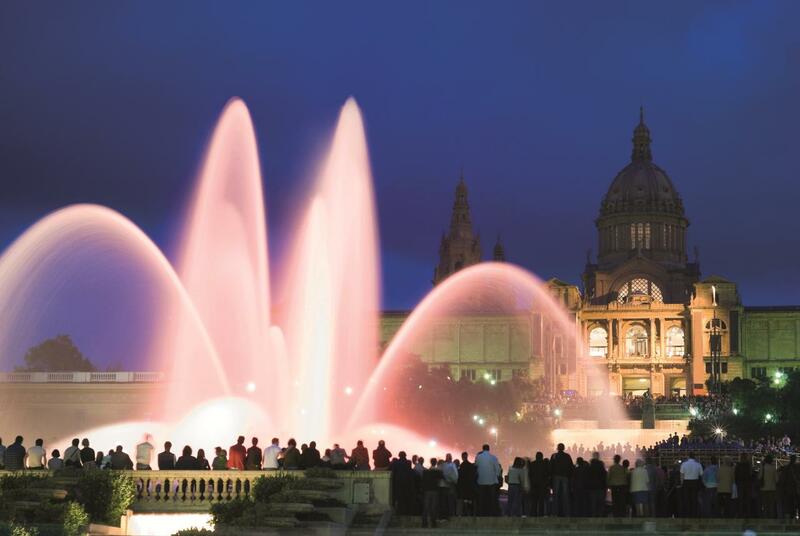 Discover Barcelona by night along the waterfront and in Montjuïc, ending the tour with the spectacular Magic Fountain show. La Barceloneta. 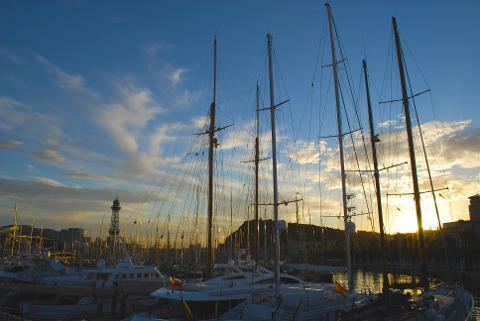 Located right next to the city's beaches and the harbour, it is the sailors' and fishermen's quarter. Olympic Port. A really good example of the modern architecture, the Olympic Port was created for the Olympic Games back in 1992. You can find plenty of life all day long within this area. The Old Port. It was converted in 1995 into a city port and it is now plenty of shops, restaurants, sailing clubs and other attractions such as the Aquarium or the Imax. Monument to Columbus. This column was created to commemorate the discoverer once he came back from America and was received by the Catholic Kings. It is located at the end of La Rambla. Montjuïc Panoramic Views. 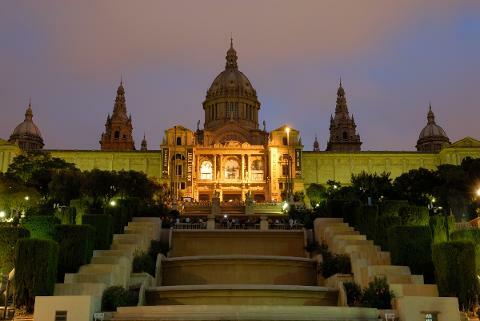 Enjoy the best views of Barcelona from the balcony over the Mediterranean. 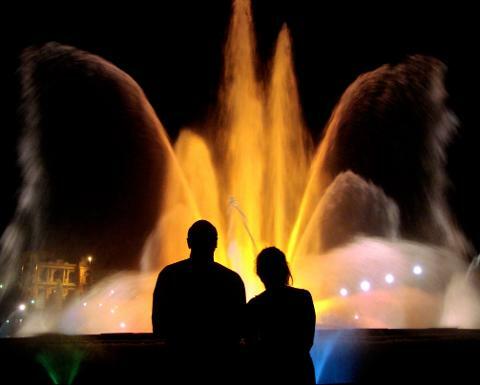 Magic Fountain of Montjuïc. Built in 1929, you can enjoy a show with the mixture of water, light and music. A unique experience for sure! Return to your hotel. Why worrying about that? We'll take you back to your hotel after the whole tour or as closed as possible. Why do our customers book this tour? The tour is only in English making it easier for you to follow the whole story. 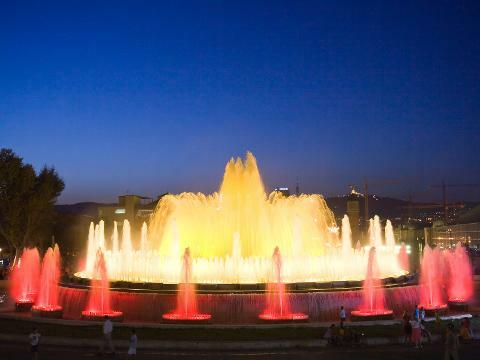 The tour is in the afternoon because of the Magic Fountain show. 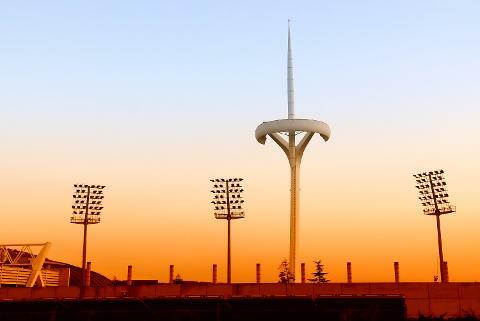 It will also give you time to visit Barcelona in the morning. Hotel pick up. Departure point is in Plaça Catalunya, the center of Barcelona and with very good communications, near la Rambla, Gothic Quarter and Passeig de Gràcia. This tour involves some walking. This is not a wheelchair accessible vehicle. However, if you have limited mobility (i.e. you can get on and off the coach) we can take your wheelchair with us.